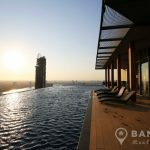 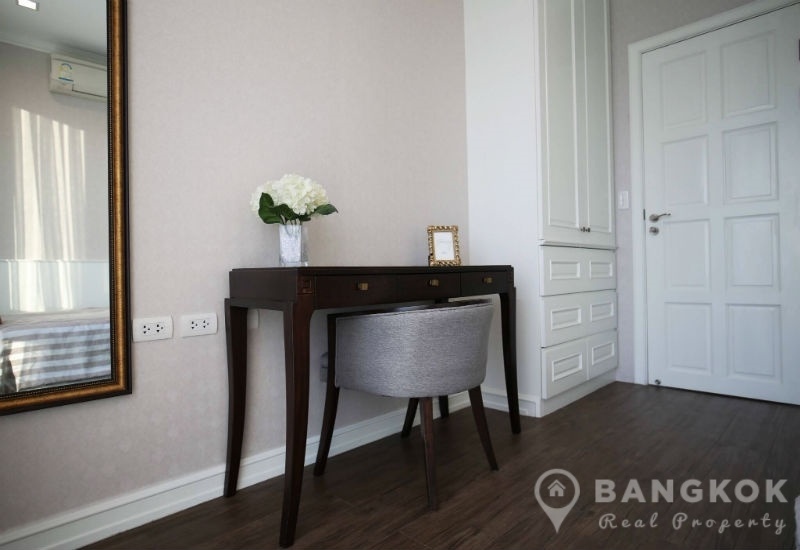 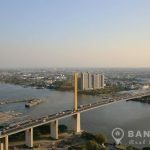 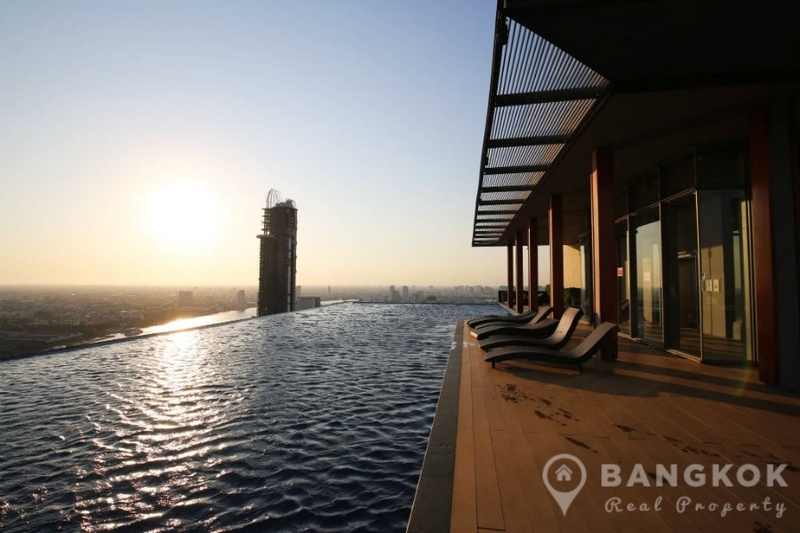 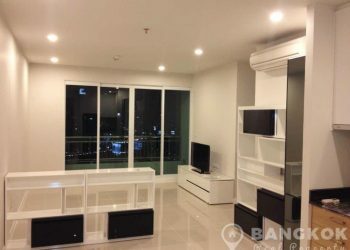 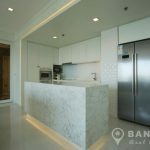 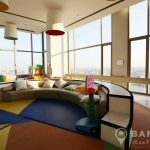 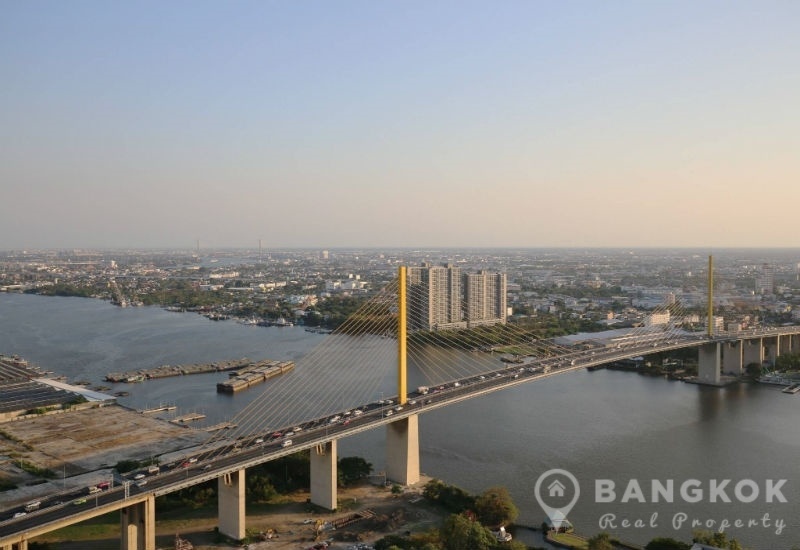 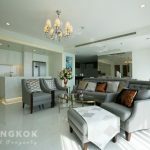 A stunning, modern, spacious 3 bedroom condo is available to rent at StarView Condominium located on Rama 3 Road, overlooking the Chao Phraya River and just 4 minutes walk (100 metres) from Rama IX Bridge BRT station. 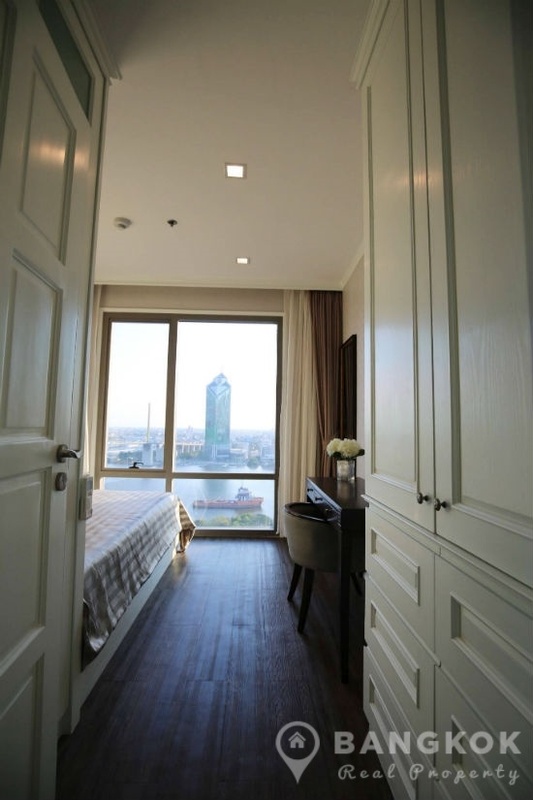 This high rise development just completed in 2018 by Eastern Star Real Estate PCL, offers residents great local amenities including Central Rama 3 Mall, Asiatique – The Riverfront, Vanilla Moon Shopping Mall, Public Park in Commemoration of H.M. the King’s 6th Cycle Birthday and several top schools including Shrewsbury and New Sathon International Schools. 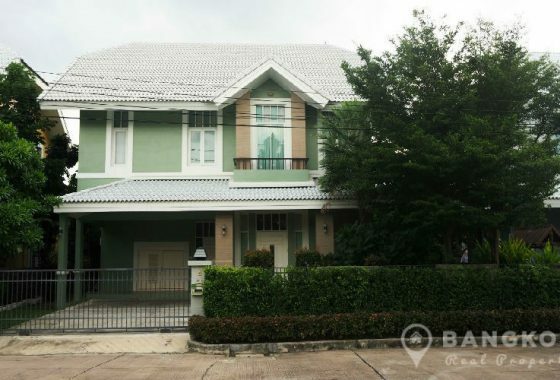 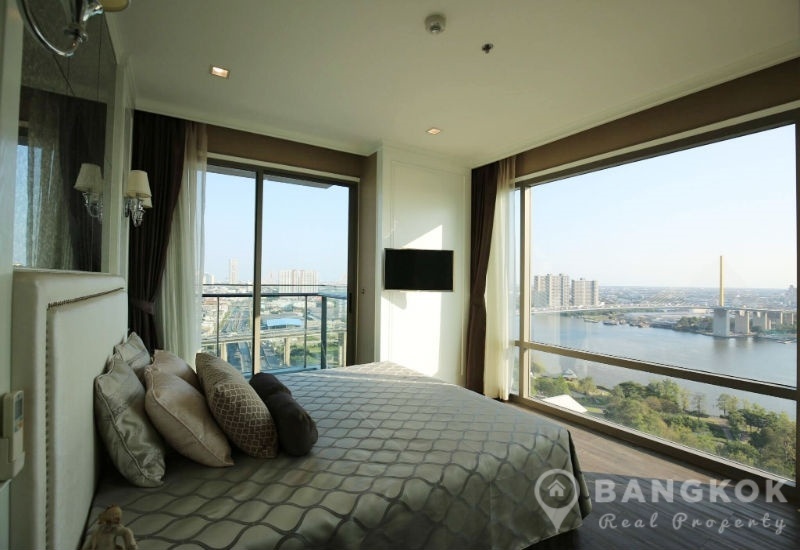 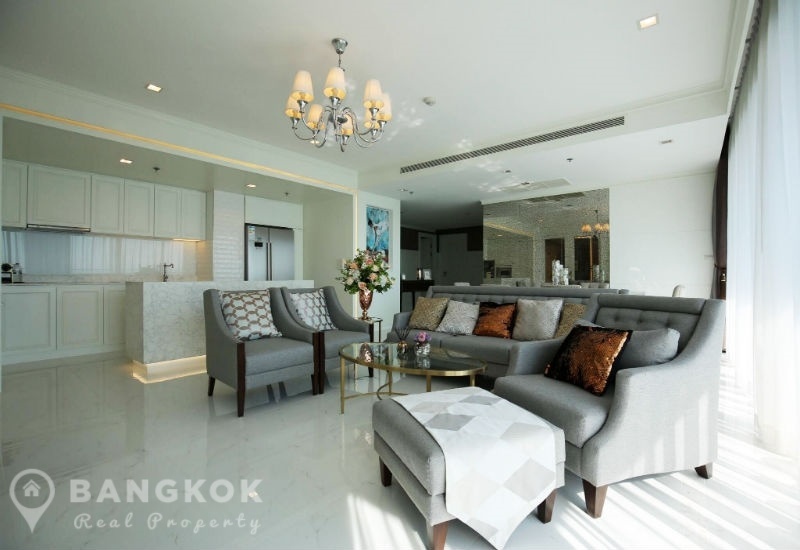 Situated on a very high floor of StarView Condominium this spacious property has 3 double bedrooms, 3 modern bathrooms, 2 large balconies, 160 sq.m of living space with stunning views over the Chao Phraya River. 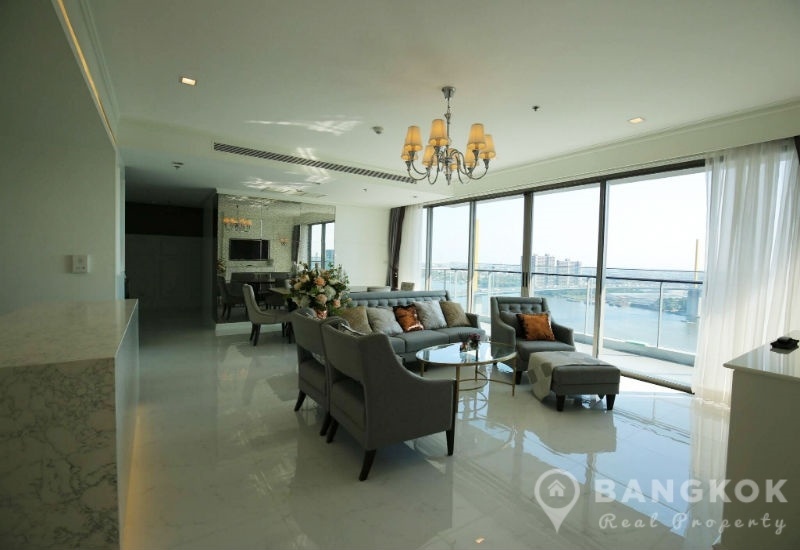 With private floor access, this condominium has a large open plan living – dining kitchen with access to a large balcony terrace overlooking the river. 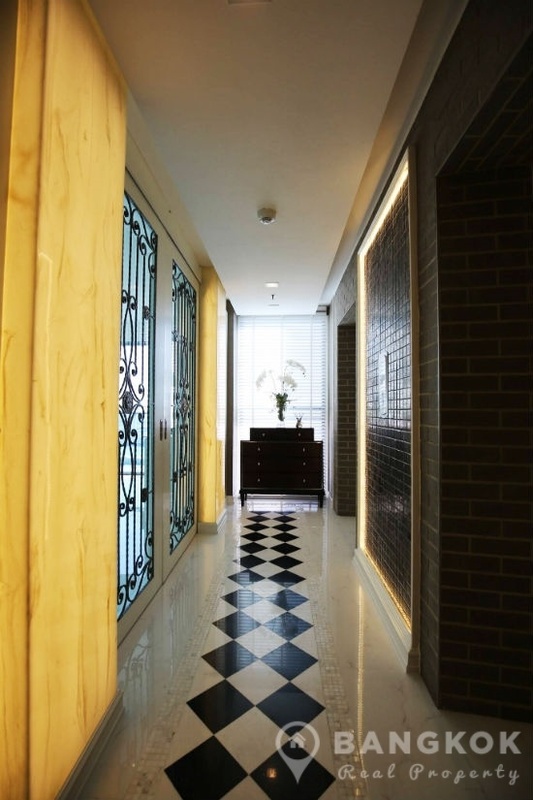 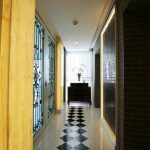 The property has ceramic tiled floors throughout with large floor to ceiling and picture windows, is tastefully and fully furnished in modern style. 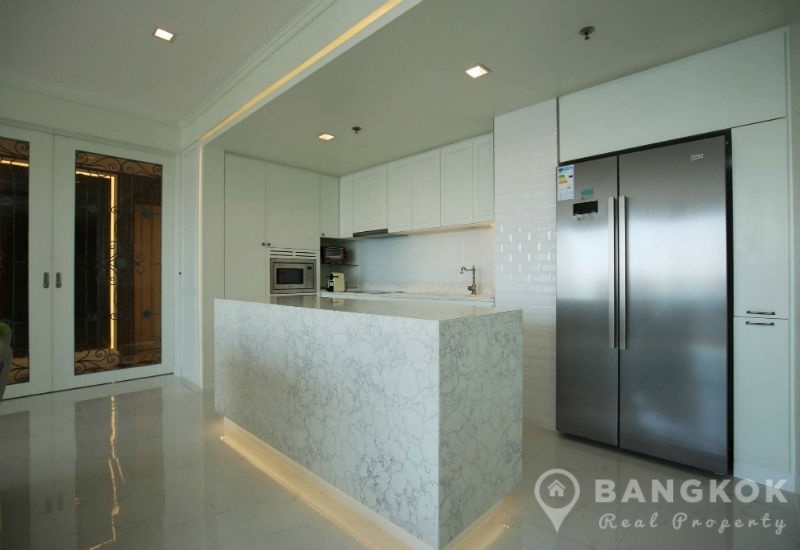 The modern European style kitchen has extensive fitted units with island and built in electric hob & extractor fan, microwave and fridge freezer. 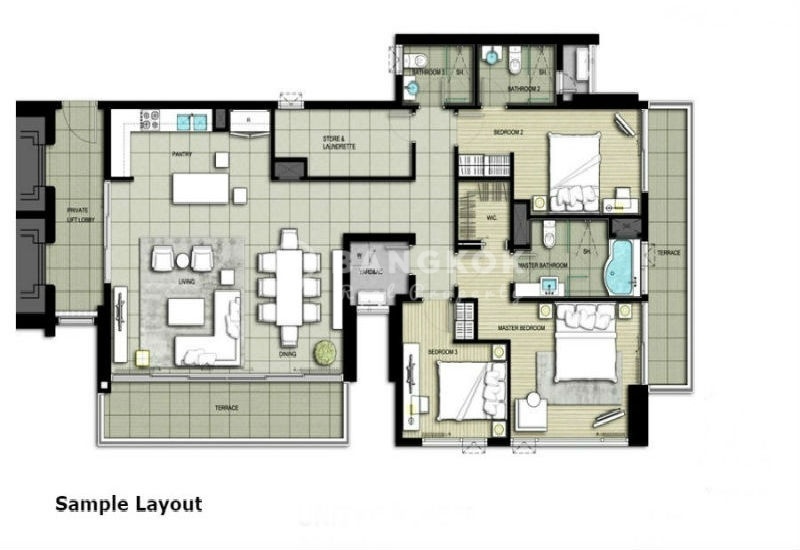 There is a separate utility room /yard with washing machine. 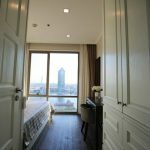 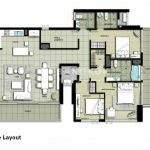 The master bedroom suite with dual aspect has access to the 2nd balcony terrace, has a walk in wardrobe and ensuite bathroom with Jacuzzi bathtub and separate power shower. 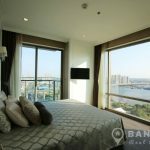 The 2nd bedroom (double) also has balcony access, built in wardrobes and an ensuite bathroom with power shower. 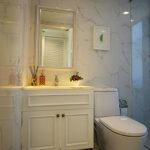 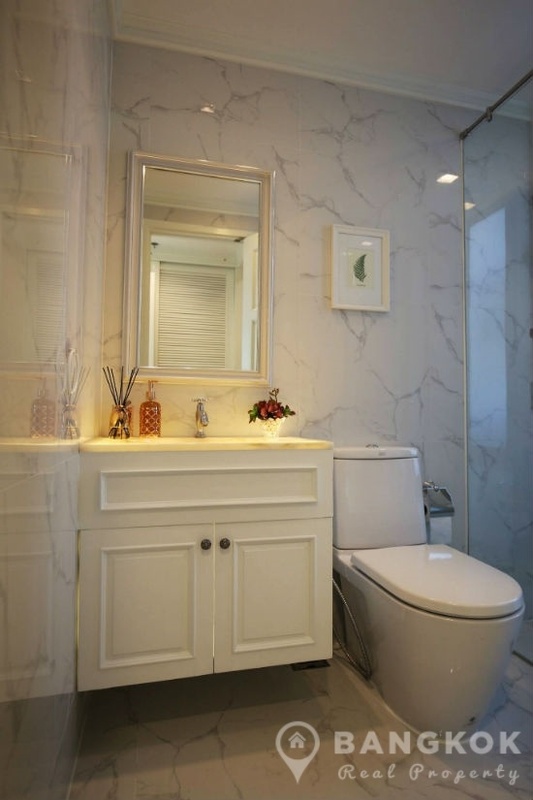 The 3rd bedroom (double) has built in storage and use of the main bathroom with power shower. 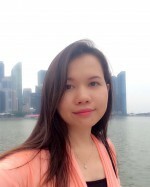 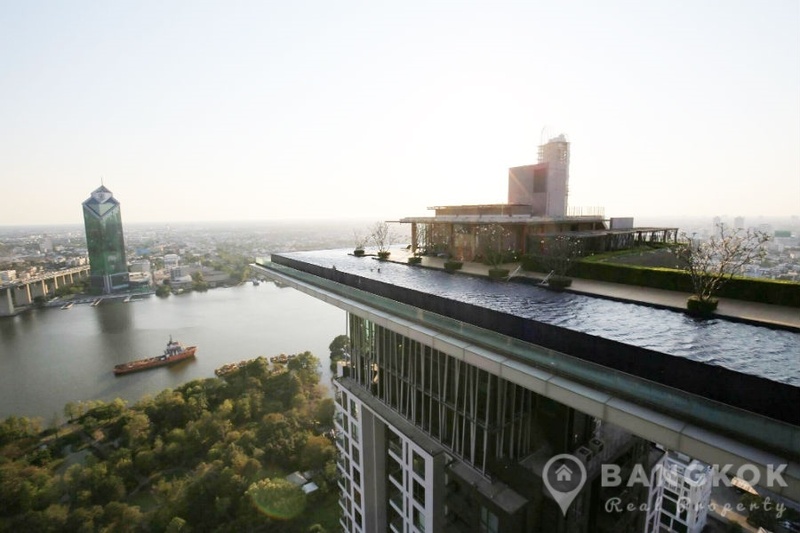 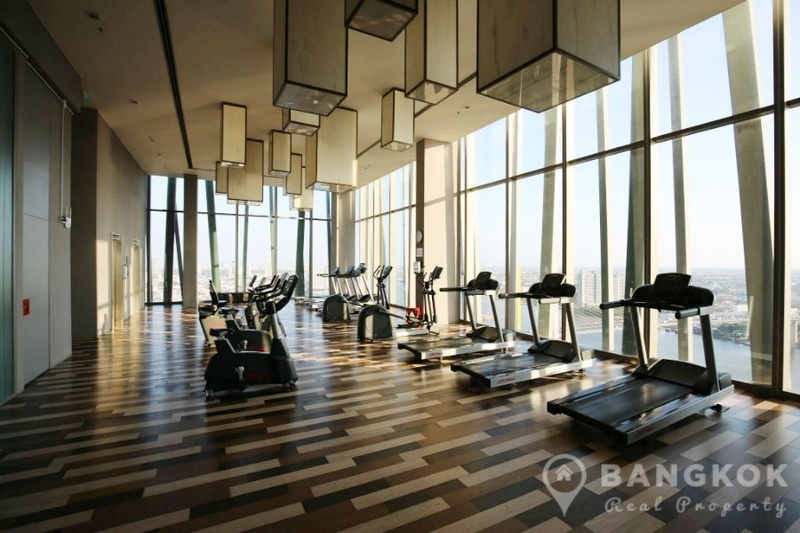 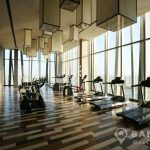 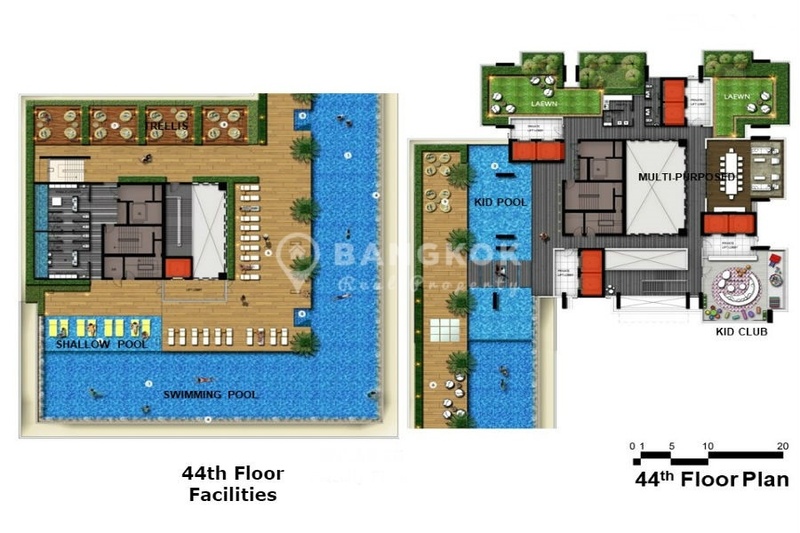 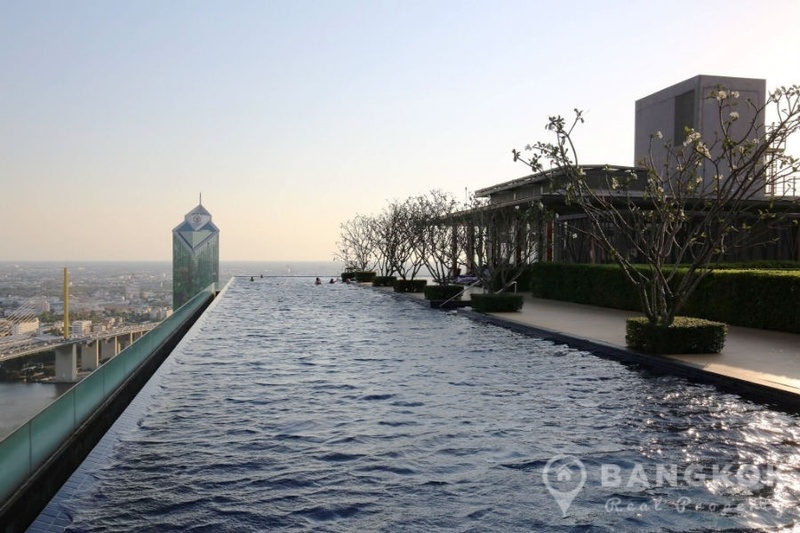 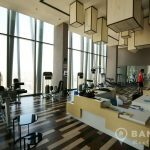 StarView Condominium is a condominium project, located on Rama 3 Road overlooking the Chao Phraya River and just 100 metres from Rama IX Bridge BRT stop. 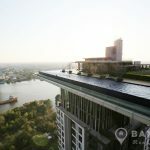 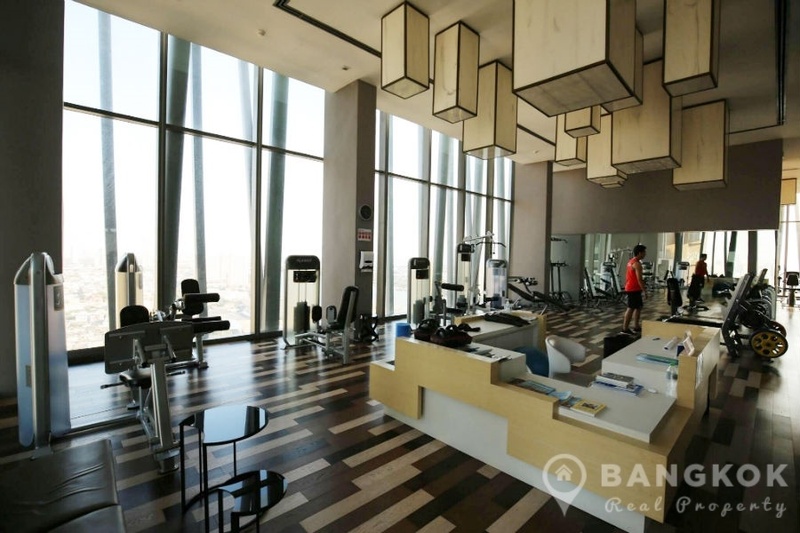 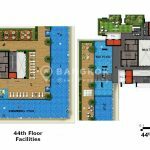 Built by Eastern Star Real Estate PCL, construction of StarView Condominium was completed in 2018 and this high-rise project sits on 7+ Rai and consists of 2 buildings with 45 floors (Tower A) and 54 floors (Tower B) with a total of 556 units.